Home Positive Thinking What Will Happen If One Dollar Equals To One Rupee? What Will Happen If One Dollar Equals To One Rupee? One day, when you wake up early in the morning, and while scrolling Facebook, you see the price of Apple iPhone X has gone up to Rs. 960, you scroll out quickly and went out of there, thinking that of a Fake News, thinking in your mind that what’s all this rubbish news in the morning, but while playing in the evening, your two friends bought the iPhone X and you still cannot believe what’s the matter, you’re wondering what might be the reason that the iPhone X can be bought in such a few rupees? Yes, of course, if 1 dollar is equal to one rupee. 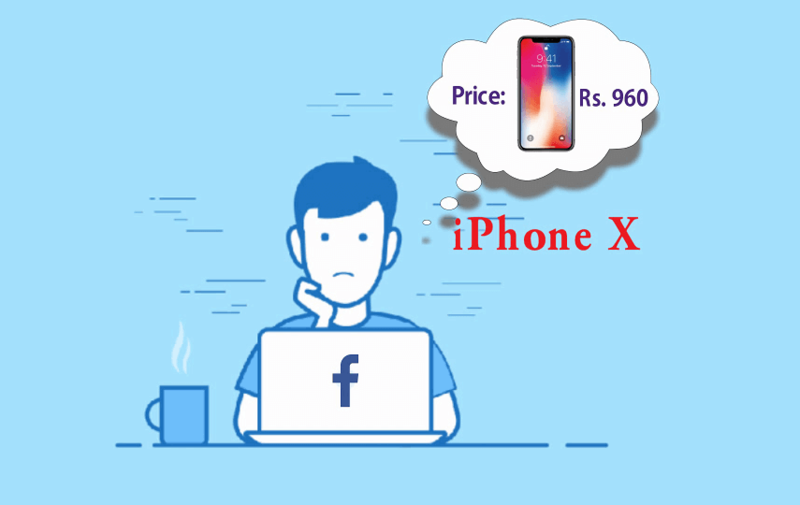 Yes friends, when the value of one dollar and 1 rupee will be equal, then you can buy an iPhone worth 960 dollars in just Rs 960, and you will feel that you have purchased the iPhone by paying 70 thousand rupees, you will be able to gain the same experience. 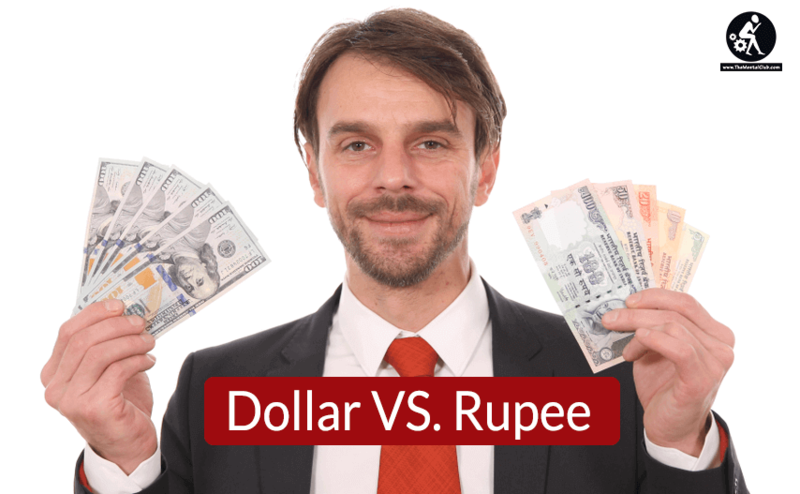 Dollar VS. Rupee – If $1=₹1 then what will happen? At present, the value of 1 dollar is more than 70 rupees, but in today’s day too many people like you, have this question that if India’s 1 rupee becomes equal to one dollar, then what will happen? Will this be beneficial to India, or will it cause much loss to India? What is the history of the reduction of the value of rupees than the dollar?? And why did the value of rupee fall less than the dollar?? Before answering all these questions, let me tell you that when India got its independence, the value of the rupee was equal to the dollar. But after the independence, many schemes were started in India, which caused India to borrow a lot from abroad, gradually increasing the burden of debt on India, due to which India had to reduce the value of Indian wealth ie the rupee. Since the value of money was reduced in India, the value of Indian Rupee is still less than the dollar. Before independence in 1917, 1 dollar was equal to 13 rupees, but at the time of independence, one dollar was equal to one rupee. 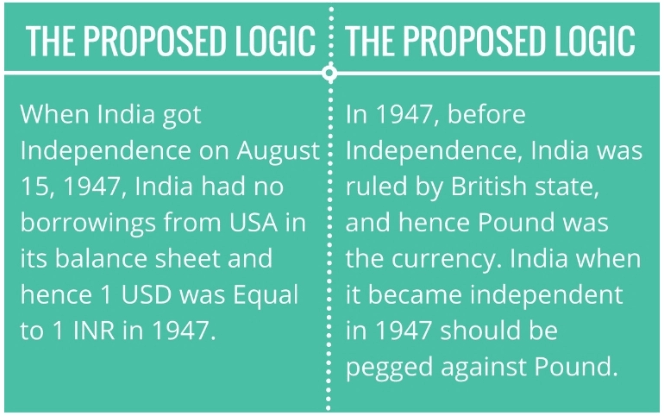 The Government did not have any loan during independence, but during the first five-year plan in 1951, the Indian government took the loan, from then onwards, the value of rupees was reduced to 1 dollar equals to 4 rupees and 66 paise by 1966. Since then, the value of money has gradually declined, in 1975, the price of one dollar was 8 rupees 39 paise, then in 1985 one dollar was worth 12 rupees, and in 1993, the price was very high and was equal to 31 rupees and 37 paise. Between 2000 and 2010, the value of one dollar has gone up to 40 to 50. And in 2013, the value of the dollar has increased significantly; a dollar equals 65 rupees 50 paise. This is quite high. And today the price of one dollar has been more than 70 rupees??? So now, the question is will the value of the dollar and money be equal in the future??? Definitely, in the future, if India’s one rupee becomes equal to one dollar, then there will be many benefits and many losses in India, which will have a big impact on our country’s economy. So, friends, today we are going to tell you that if India’s money equals one dollar, then what will be the benefit and loss of India? Is there any possibility to become one dollar equals one rupee? We’ve made three videos on this topic in three languages. If you don’t want to read the content, then you may watch our videos (English Version, Hindi Version & Bengali Version). First of all, let us know, if India’s one rupee is equal to one dollar, then what will be the benefits? Benefit 1: If the value of money and dollar are equal, then the first benefit is in the case of import – India can buy all those things that are imported from outside countries, at very cheap prices. Because the things we use in everyday life, most of the things we import from outside the country. So if one rupee gets equal to one dollar, then at the price, at which the government of India bought the things till now, can buy the same thing by paying a lot less than earlier. And when the government has to pay a low price to buy a thing, then the government will usually try to give us those things at a lower price. Benefit 2: As I said in the last point that our country has to import a lot of things from outside. One of the most important things among them is Crude Oil, behind which a lot of money is spent. If the value of the dollar and money becomes equal, then the value of crude oil will become very less. As a result, prices of diesel, petrol will be very cheap and the transportation cost will be reduced considerably. This will give India a lot of things at a lower cost and would also be willing to buy more things. As a result, dependency will continue to grow. However, importing more things is not good for any country’s economy. Problem 1: Because our country imports many things from foreign countries, many other countries also import from our country. So if India’s 1 rupee gets equal to 1 dollar, then the outside countries will have to buy things at a higher price, but the foreign countries will never buy things at a higher price, they will rather try to buy it from the countries- where it is available in low price, this will cause a big loss to India. As a result, Exporting Business in India will be damaged. For example, suppose Cloth has a production cost of rupees 1000 in India, America first bought the same shirt by $ 14 but now will have to pay $ 1000 because the value of dollar and money are equal. 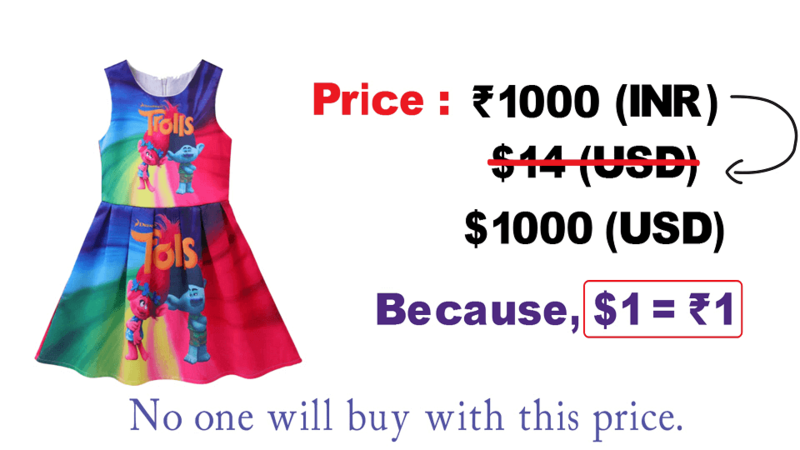 Then, not just America, but no country will be able to buy shirts from India at such a high cost; they will buy shirts from other countries, where it is cheap. In this way, the export of India will gradually decrease, and the reduction in exports will have negative implications in the economy of any country. And if there is a negative impact on the economy then the country’s progress will slow down. Problem 2: If one dollar equals one rupee, the second biggest loss in our country will be FDI, i.e. the foreign direct investment will be closed. 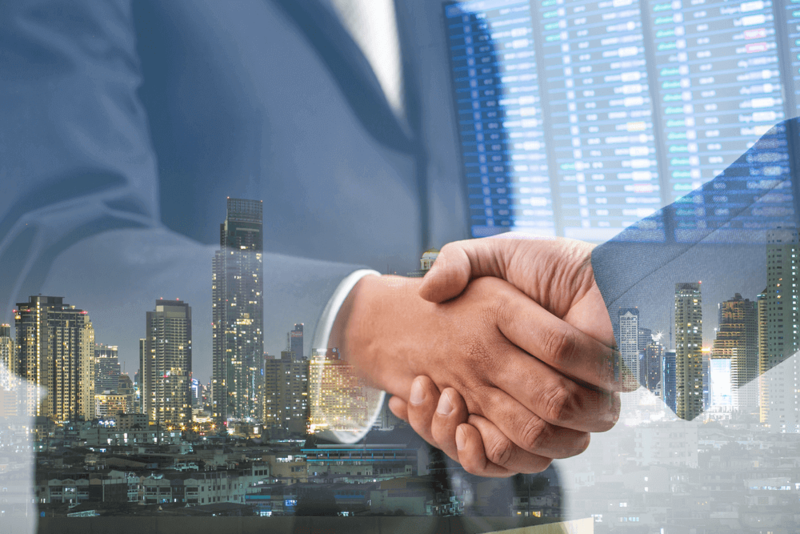 FDI is a company that acquires any business in a foreign country or starts business operations in that country. For example, a few days ago, “Walmart”, a foreign company, acquired India’s most popular shopping site “Flipkart”. This means that the current owner of Flipkart is now Walmart. So friends, FDI, directly and indirectly, grows the Indian Economy. FDI plays a very important role in strengthening the economy of any country. FDI is the highest in our country because labor costs are very low in our country. Labour is paid by paying 20,000 or 300 dollars in Indian Money. But if the dollar and the money are equal, then the labour will have to pay a dollar equivalent to 20000 rupees i.e. $ 20,000. But why would a company pay so much money? Instead, they will start the business in another country where labour cost will be very low. Problem 3: In our country, foreign companies mostly invest in IT and Service Sectors, so 60% GDP of our country comes from all these sectors. And 27% of people in our country are getting jobs in these sectors. If foreign companies stop investing then it will be completely closed. This means that the number of unemployment in the country will increase significantly. Apart from this, due to the reduction in the price of various things, machines will be used more in the workplace than Employee, and there will be the significant increase in unemployment. As a result, people will agree to work on the minimum amount. Then we have to face such problems. So, friends, I hope that now it is clear to you that if one rupee is equal to one dollar then what impact can we have on our country?